Through the ages, Islam to China was introduced and influenced by Chinese Muslims visiting Muslim lands and visiting Muslim scholars, preachers and traders along the predominantly Buddhist Silk Road. The rainbow of Islam in China evolved blending with its national culture and creating traditional streams of hybrids and strains. Chinese Muslims who returned after religious education overseas or went on pilgrimage to Mecca were inspired to embrace Salafism. They saw Wahhabism, the version of Islam practiced in Saudi Arabia as the purest form of Islam. To them, Islam in China has been localized and indigenized. With increasing number of Muslims going for Haj and Umra, some Chinese Muslims scholars and preachers brought back what they believed is the original Islam. To different degrees, the diverse school of Salafism influenced the Chinese Muslims, both Uighurs and Hui. With the penetration of Global Salafism of the Takfiri and Jihadi strain in the 1990s worldwide, Central Asian Muslims were affected. A tiny minority of China’s Uighur Muslim community in Xinjiang and Uzbekistan’s Uzbekh community joined the global movement led by al Qaeda. The Uighur group known as the Eastern Turkistan Islamic Movement (ETIM), originated as an ethno-nationalist group, but transformed from a separatist into a politico-religious movement with Salafi orientations in the late 1990s and 2000s. Under al Qaeda’s influence, ETIM embraced Global Salafism fighting not only Eastern but Western Turkistan but beyond. Renamed Turkistan Islamic Party (TIP), the group fight side by side with other Salafi groups – al Qaeda, Afghan and Pakistani Taliban, Islamic Movement of Uzbekistan, Islamic jihad Union, Jabat al Nusra, and the Islamic State. The symbol of TIP has on its crest the words, “There is no God but Allah and Muhammad is his Prophet” and “The Islamic Party of Turkistan” (In Arabic on the bottom, in Uighur on the right). With Jihadi and Takfiri strain of Global Salafism growing, over time there are signs that TIP will fight both in China and overseas. With their participation in the Syrian conflict, will TIP’s ethnonationalist orientations further diminish and will they adopt a global focus especially if China succeeds in dismantling the group and its ideology? Wahhabism known in China as Ikhwani was founded by the Dongxiang imam Ma Wan-fu (1849–1934) in the Dongxiang Autonomous County in Linxia Hui Autonomous Prefecture, Gansu Province). Mohommed in Chinese is Ma, the family name. Educated as an Imam in Arabic and Persian, he left China through Xinjiang, Afghanistan, Iran, Iraq, and Mekkah to perform Haj in 1888. Ma Wan-fu’s teacher, Ma Hui-san who accompanied him passed away but he remained 5-6 years studying Wahhabism. Ma Wan-fu “felt he has a mission to adjust wrong Islamic practices. Upon his return to his native place, he immediately announced his disengagement with Baizhuang sect, criticized the sheikh of the sect has led astray its adherents from the straight path, which Islam advocates since its very beginning.” Upon his return to Xinjiang, together with ten handpicked disciples of clerical authority, Ma Wan-fu implemented Salafism’s Saudi brand Wahhabism in China called the Ikhwani sect, a non-Sufi Hanafi of the Sunni tradition. He made the Holy Quran the “only guiding book, advocated practicing Islam in accordance with the Holy book, putting off the practices which are not conformed to the Quranic teaching. They set ten guidelines, later called “Guoyuan Ten Guidelines”. (1) Do not recite the Holy Quran by mess; (2) do not praise the Prophet laud; (3) do not recite du’a too much; (4) do not visit shaikh’s grave; (5) do not do repentance in mess; (6) do not do the remembering of the dead; (7) do not use the Holy Quran for isqat; (8) do not do tatawwua; (9) Islamic law being observed; (10) oneself must perform religious obligations.” Against murshid (leader/teacher) worship, Ikhwani sect advocated against the preaching and propagation (da’wa) in Chinese. Rejected by all sufi sects at beginning, gradually the leadership of Ikhwani sect came under Chinese State influence. Ikhwani sect’s patron Kuomindang party member General Ma Bu-fang (1903–1975) went to the extent of persecuting the newer Salafi and all the other existing sects. This included the traditional Sunni Gedimu, the oldest sect of Islam in China. A Muslim Hui, General Ma Bu-fang, forcibly appointed Ikhwani imams to their sect. After the Communist party took over in 1949, the party’s Sunni Gedimu applied the rules on freedom of religion to suppress the Ikhwani practices and harass the Imams. Although originally inspired by the Wahhabism, Ikhwani sect evolved into a secular group. The “sinification” of Ikhwani sect led its leaders to embrace Chinese nationalism challenging subsequent inroads of Salafism including Wahhabism. The second wave of Salafism was introduced by Ma De-bao (1867-1977), from Guanghe County in Gansu Province in China. After performing haj with four others in 1936, he returned to Linxia, his hometown, with books and through Friday prayers promoting the ideas of salafiyya. As they attempted to establish salafiyya n Lanzhou and Linxia, they were not welcomed by both of the student and audience, plus intense criticism from Ikhwani leader of ahongs, who actually called the salafiyya as heretic and against the straight path.”To survive the hostility after being branded traitors, Ma De-bao, Ma Zheng-qing, and their supporters went underground until the communist party came to power in 1949. Although salafiyya and Ikhwani are both Hanafi, the Salafiyya was regarded “new sect” or “latest sect”. Considered resilient, Salafiyya survived opposition by Hanafi Sunni Gedimu, sufi Khufiyya and Jahriyya sects, and even Ikhwani sect. Although the introduction of Salafism to China met resistance, they underwent cultural assimilation. The genesis of the third wave of Salafism can be traced back to Hizbul Islam Li-Turkistan (Islamic Party of Turkistan or Turkistan Islamic Movement) formed by Uighur scholars Abdul Azeez Makhdoom (Mahsum), Abdul Hakeem and Abdul Hameed in 1940. They were Muslims but their ideology was secular until the 1990s. They spearheaded the fight against the local rulers and the communist party throughout the 1940s. Their inspiration was a state called East Turkistan that existed briefly from 1931 to 1934 and they attempted to recreate it again from 1944 to 1949. After 1952, with the imprisonment of Abdul Hakeem and the deaths of Abdul Hameed Abdul Azeez Makhdoom, a new organization emerged. Hizbul Islam Li-Turkistan Ash-Sharqiyah (Islamic Party of East Turkistan or East Turkistan Islamic Movement) emerged under the leadership of Mullah Baquee and Mullah Muhammad in 1956. Their efforts in the 1960s and 1970s were defeated in the early 1980s. The group factionalized and their splinters continued to mount attacks, robberies and assassinations. Under Dia Uddin, the group revived in 1988 but their planned attacks in Xinjiang were disrupted. On April 5, 1990, a dozen members of Hizbul Islam Li-Turkistan Ash-Sharqiyah led 200 Uighur demonstrators who fought against government troops in Baren, a turning point for Uighur youth. After holding the town for nearly three weeks, most militants were either captured or killed in the city or in mopping-up operations in the countryside. This included members of a breakaway faction of Hizbul Islam Li-Turkistan Ash-Sharqiyah, Hizbul Islah Al-Islami (The Islamic Party of Reformation) led by Abdul Kareem and Shaheed Idris bin Omar who carried out several car and bus bombings in Urumchi in 1989 and early 1990. Mentored by Abdul Hakeem in Kargharlak in Kashgar in Xinjiang from 1984 to 1989, Hasan Muhsum was an Islamic teacher in an underground religious school and a group. After Baren incident, Abdul Kareem was arrested and imprisoned for 15 years and his disciple Hasan Mahsum, who participated in a rebellion in Akto County, was detained and imprisoned from May 8, 1990 to November 23, 1991. After Abdul Hakeem, the founder of Hizbul Islam Li-Turkistan Ash-Sharqiyah died in 1993, the movement was revived by Abudu Rehmen and Muhanmmed Tuhit, both from Khuttan (Hotan), a former Buddhist Kingdom along the Silk Road. For organizing unlawful assembly in commemorating the demise of his teacher Abdul Hakeem, Mahsum was imprisoned again from July 1993- February 1995, and transferred to a labor camp Urumuqi from February 1995-April 1996. Born in October 1964 in Kashgar, Kashi Prefecture in Xinjiang, Mahsum’s indoctrination in prions transformed him into a pious fighter. During the Chinese government “strike hard” campaigns in August 1996, Mahsum was again detained until September 1996. Mahsum travelled from Urumchi to Beijing, and to Malaysia and to Jeddah, Saudi Arabia in January 1997 before relocating to Pakistan, where he came into contact with diverse threat groups including al Qaeda. Together with his deputy, Abudukadir Yapuquan, Hasan Mahsum founded the most lethal Uighur threat group, ETIM, in September 1997. Salafism, the desire to go back to pure Islam, has its genesis in the Middle East. A religious scholar and a political activist, Ibn Taymiyyah (22 January 1263 – 20 September 1328) established the salafist movement by calling the return of Muslims to the earlier interpretations of the Quran and Sunnah. He advocated death to anyone who insulted the prophet, campaigned against brothels and taverns, hitting before publicly executing atheists, attacking astrologers and Sufis, condemning visiting tombs of prophets and saints, destroying sacred monuments, confronting Shia including Alawites. To Ibn Taymiyyah, state and religion were inextricably linked, he advocated a Muslim ummah, and opposed nationalism, and other faiths especially Jews and Christians. After issuing a religious pronouncement (fatwa) against the Mongol rulers, he declared holy war (jihad) against the Mongols by Muslims as compulsory. Despite the Mongols stating that they are Muslims, he called them not Muslims (takfiri) and did not follow Islamic law (sharia). Ibn Taymiyyah’s thinking influenced another generation of Salafi exponents Muhammad ibn Abd al Wahhab (1703 – 22 June 1792), the founder of Wahhabism, the Saudi school of Salafism and Rashid Rida (23 September 1865-22 August 1935) who advocated the Islamic State. The theoreticians and practitioners of Muslim Brotherhood, Sayyid Qutb and Hassan al Banna, the first violent Muslim movement of the 20th century, were also influenced by Salafism but also drew from elements of Sufism. Global Salafists, Abdullah Azzam, Ayman al Zawahiri, Abu Musab al Zarqawi and Abu Bakr al Baghdadi selectively adopted from the Salafi doctrines and practices to shape and drive contemporary Islamic movements such as al Qaeda, IS and others. The genesis of the roots of Salafism can be traced back to Mongol expansionism in the 12/13th centuries and its contemporary origins to European colonialism in the 18/19th century. Salafism assumed a new dimension after the discovery of oil in Saudi Arabia in the 20th century and was reinvigorated with increased globalization in 21st century. The Kingdom of al Saud aggressively promoted its brand of Salafism called Wahhabism. With religious exchanges and educational programs, Saudi influence and funding gathered momentum. With the oil money transformed the landscape of Islam, the call to go back is Salafism found resonance among Muslims worldwide. The fastest growing Islamic movement in the world is Salafism. The ideological footprint of Salafism in China is growing. Salafism is an ideological spectrum from the peaceful to the violent. 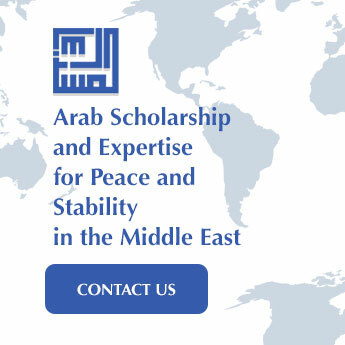 Like elsewhere in the world, the Muslims most susceptible to recruitment by extremist and terrorist groups are those who have embraced Salafism. With the increased contact with South Asia and the Middle East, the Chinese Muslims have been influenced by the Salafi-Jihadi-Takfiri ideologies. With greater interaction, Chinese Muslims realized that Islam in their own country has been adapted. 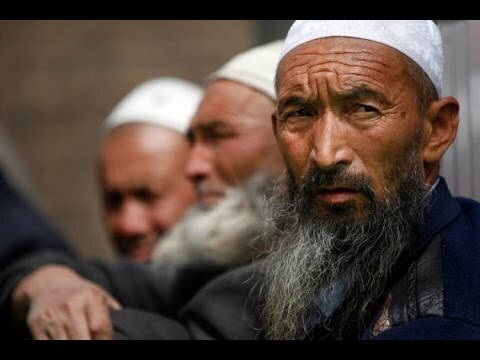 Although most Salafists in China are peaceful, increasingly the version of Salafism influencing a growing minority of Chinese is of both religious and security concern. The vast majority of the Chinese Muslims are Hanafi and Sufi, schools antithetical to Salafism and its virulent strains. Like other countries, China is challenged by the growth of Salafism especially the Jihadist and Takfiri strain. As an ideology, Salafism in China is propagated on-line and in real space. Like in the real space, Salafism on-line is a spectrum from mainstream to extreme. The existing footprint of Salafi-Jihadi-Takfiri ideology that has entered China from overseas is reinforced by an on-line version of Salafism, Cyber Salafism is influencing a segment of the Chinese Muslims especially the youth. Also called “cut and paste Islam,” Cyber Salafists selectively take passages out of context from religious texts and drive Jihadism and Takfirism, a departure from classical Salafism. In China, the fight for the independence of Xinjiang was spearheaded by Uighur nationalists in the centre and north and Uighur Salafists in the southwest. Gradually, with influence from the bordering South and Central Asia and support from the distant Middle East and Europe, the entire movement assumed a Salafist orientation. Despite efforts by Beijing and Xinjiang governments to dismantle the underground Salafi infrastructure, ideological and operational threat persisted and grew. Although a Uighur militant infrastructure survive in Xinjiang, the sustained pressure to dismantle the group led many like Mahsum to flee China. They reorganized themselves in Munich, Dubai, and in Peshawar in the 1980s and 1990s with support from governmental, non governmental, community, and crime. As the Turks and segments of the Turkish government considered Uighurs as Turkic, they actively and tacitly supported unity moves by the divided Uighur migrant and diaspora organizations. Driven by the breakup of the Soviet empire and rise of Central Asian states, Turkey wished to expand its influence from Turkey through Central Asia to Xinjiang. The Uighur elite organized the first Uighur National Congress in Istanbul in December 1992. While Turkey remained a key centre, political activity expanded to Germany, fundraising emerged in the Gulf and militant activity in Pakistan spread to Afghanistan. The attacks and protests in Xinjiang have continued from a series of bus bombings in 1992 and demonstration against Chinese nuclear testing at Lop Nor resulting in clashes with security forces and the destruction of military equipment. In addition to blaming Hizbul Islam Li-Turkistan Ash-Sharqiyah Beijing attributed attacks in Xinjiang to new groups such as the Eastern Turkistan Youths League and the World Uighur Youth Congress. Although the ideology of Uighur nationalism remains intact, the threat posed by the ethno-nationalist groups diminished and the threat posed by politico-religious groups grew. The Salafist strain of Jihadism and Takfirism grew in the prison throughout the second half of the 1990s and through the contact of Uighur migrant and diaspora communities with al Qaeda and Taliban. worked as religious and military instructors in a militant training camp. Appointed to the consultative council (Majlis Shura) of the ETIM in November 1999, Abdul Haq and other ETIM members met Taliban leaders in Mazar-I Sharif in North Afghanistan, including Mullah Abdul Sattar and Mullah Dadallah in Saripul province, Afghanistan. In addition to recruiting new members, he led ETIM branches overseas and liaised with Taliban. After Hasan Mahsum was killed in 2003, Abdul Haq became the new leader of the ETIM. Despite the death of successive leaders of ETIM, tribal Pakistan remained the new HQ of ETIM until 2014 after which ETIM relocated to Afghanistan’s southeastern border. Over time the influence of Salafi groups grew on the Uighur fighters. TIP’s Salafi orientation is explicit in its literature and videos. The introductory issue of TIP‟s flagship periodical, Islamic Turkistan published a six-page exposition on “what it means to be a Salafist Muslim” in an article titled “On Salafist Doctrine.” Portraying that Uighur Muslims are true believers, the article covered basic Islamic concepts as “The meaning of testifying that there is no god but God.” TIP’s Islamic Turkistan propagated Salafism by publishing in its subsequent issues writings on Salafism. In addition to issue two “On Salafist Doctrine, issue three “On Salafist Doctrine” focused on the founder of Saudi Arabia’s Wahhabi establishment, Muhammad Abd al-Wahhab. The jihadist character is explicit in the statement describing the program of the TIP: “We are a group working for Islam and warriors (mujahiddin) in the cause of God in order to liberate Turkistan. Our doctrine: It is that of the Sunna [Sunni Islam], among those who follow the understanding of the companions of Muhammad, the followers of righteousness.” The Takfiri character is explicit in the statement by the TIP clarifying its position on democratic and secular Turkistani Parties published by Muhammad Yasin and TIPs Consultative Council.” It condemns nine Uighur organizations as unislamic: The Uighur Union of America, the Uighur Union of Australia, the International Uighur Conference, the Swedish Uighur Association, the Canadian Uighur Association, the Uighur Educational Union, the Organization for Education and Social Cooperation of East Turkistan, the Association of East Turkistan Culture and Cooperation in Turkey, and the Association for the Defense of Uighur Human Rights.” These developments are manifestations of takfirism or declaring fellow Muslims as non Muslims, characteristics of al Qaeda, Islamic State and like minded groups. With the spread of Salafist-Jihadist-Takfiri ideology, the terrorist threat to China continues to grow. Inspired and instigated, TIP sustained its effort of terrorist attacks against China both in Xinjiang and beyond. They included suicide and suicidal attacks. China suffered from the following major Terror Attacks. On 1 March, 2014 at 21:12 PM, a group of violent attacker stabbed innocent civilians at random at the square of Kunming railway station and other places. After receiving the alarm, Kunming police quickly organized police rushed to the scene disposal. The scene disposal work was finished at 21:35 PM, four violent attackers (4 male and 1 female) were shot dead on the spot, one female violent attacker was wounded and caught. 5 machetes, 6 daggers,1 “JIHAD” and 1 “EAST TURKESTAN” flags were collected from the scene. The attack caused 29 people killed, including 2 security guards and 27 civilian; 143 people injured (73 serious injuries, 70 minor injuries), including 6 policemen and 137 civilian. On 22 May, 2014, at 07:53AM, a group of violent attackers drived two small vehicles and plowed through crowds of shoppers in off-road vehicles from north to south on the cultural palace open-air market and threw explosives out the window before crashing head-on in the attack. The attack caused 39 people killed; 94 people injured. On September 21, 2014, at 1700 pm, 10 people were killed (including 2 police officers, 2 auxiliary policemen, 6 civilians) and over 50 people were injured during a series of explosions in Luntai county, which lies in the northwest China’s Xinjiang Uyghur Autonomous Region. Over 40 terrorists were shot dead or self-exploded. Today, Muslims worldwide including in China are influenced by the spectrum of Salafist ideologies. Its most virulent strain, Salafi-Jihadi-Takfiri ideology influences a tiny segment of the Uighurs to join TIP and serve in the frontlines of Xinjiang, Pakistan-Afghanistan and Syria-Iraq theatres of conflict. They present a threat to China and beyond. The current threat to China stems from foreign fighters who return with the motivation, skills set and a network to mount attacks. The counter terrorism resources largely focus on suppressing the terrorist groups, not engaging the vulnerable and affected communities. As TIP needs a constant supply of fighters, its strategy is to train their fighters both in the Afghanistan-Pakistan and Iraq-Syria region and then bring them back to fight the Chinese state. Due to the appeal of the ideology and the lack of an ideological counter weight, jihadist-takfiri ideology continues to spread. As such, the terrorists have been able to replenish their human losses and material wastage. The TIP pace of recruitment outpace Chinese government catch and kill policy. It is paramount that suppressive measures are reinforced with strategies to engage community to disengage from extremism and violence.